Now, it’s up to the voters. 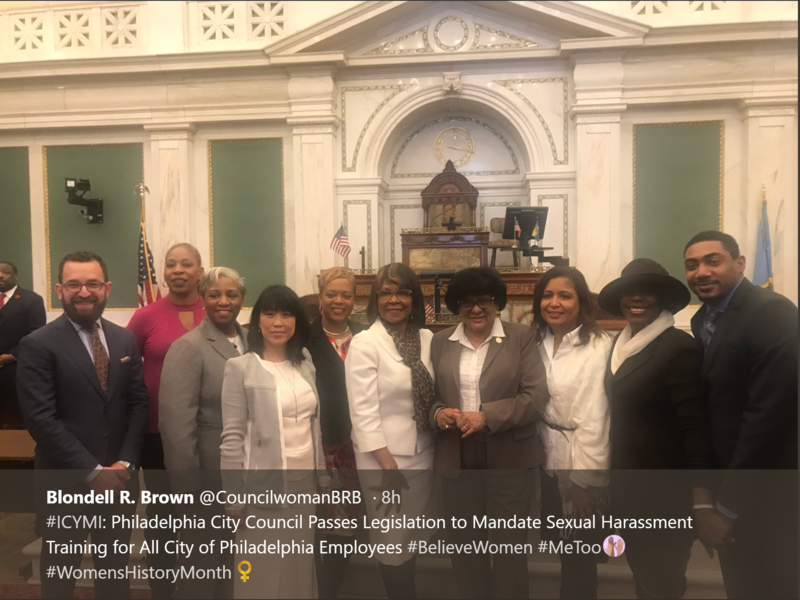 Yesterday, on International Women’s Day, Philadelphia City Council passed a bill that will require the City to provide sexual-harassment training to all of its employees and officers. In May, when City residents go to the polls, they will decide whether to amend the Home Rule Charter to require this annual training. Joined by the other “Women of City Council” ( Jannie L. Blackwell (3rd District), Maria Quiñones-Sánchez (7th District), Cherelle L. Parker (9th District), Cindy Bass (8th District) and Helen Gym (At Large)), Majority Whip Blondell Reynolds Brown (At Large) announced the bill passage. [T]he new Bill will require mandatory annual training for all exempt, non-exempt, civil service, City officers and employees regarding sexual harassment in the workplace. The administration may conclude for certain employees and departments that non-annual training is most appropriate and effective for the prevention of sexual harassment in the workplace. In these circumstances, sexual harassment training must be offered to those employees and departments at least once every three years. Now, you may be thinking to yourself, “Why haven’t City employees received prior anti-harassment training? They have. Indeed, I have trained the First Judicial District consistent with City policies and procedures. But, policies and procedures that require training are one thing. Requiring training by the force of law takes it to another level. Workplace culture has the greatest impact on allowing harassment to flourish, or conversely, in preventing harassment. The importance of leadership cannot be overstated – effective harassment prevention efforts, and workplace culture in which harassment is not tolerated, must start with and involve the highest level of management of the company. 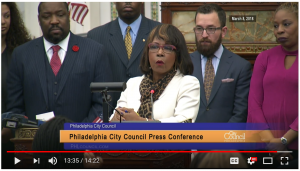 Here, leadership by their words and their acts is sending the strongest of messages that sexual harassment is not going to be part of working for the City of Philadelphia. But, it doesn’t end there. I expect the voters to respond with an emphatic yes. But there’s still plenty of work left to do. Speaking of which, I have to start packing for the SHRM Legislative Conference in Washington, DC, where I’ll be presenting on Monday. If you’re going to be down there for the event, drop me a line or swing by my session and introduce yourself. I’d love to meet you.